The brain is one of the vital organs of the body, being responsible for a wide range of functions and abilities. When it comes to boosting one’s brain power, there is some alternative available, including meditation, deep breathing, and physical exercise. But did you know that you can enhance your brain’s functioning abilities through your diet? More importantly, there are certain spices and herbs which can be used for such purposes. Keep on reading and discover the best choices you have available. And, remember, the brain requires healthy food to function at its best capacity. When it comes to herbs for brain health, thyme is one of the best choices one can make. This is because thyme is rich in volatile oils, which can increase the levels of omega-3 fatty acids within the body (and especially the brain). These fatty acids are essential for the health of the brain, protecting against neurodegenerative conditions, such as Alzheimer’s disease or dementia. Consumed on a regular basis, thyme provides the brain with healthy antioxidants; moreover, it has a positive effect whereas learning and memory are concerned. The beneficial properties of thyme have been confirmed by various studies, including one published in the Journal of Applied Biology & Biotechnology. Turmeric is also known as the golden spice, is often used to add flavor to Indian dishes. It is one of the best spices that can keep your brain healthy – it contains an active substance, curcumin, which has been known to reduce the risk of cognitive decline and dementia (Alzheimer’s disease). Turmeric has potent antioxidant properties, being able to protect the brain against degeneration and memory loss. Turmeric works to stimulate the release of happiness hormones in the brain, being perfect for those who suffer from depression. The effects of turmeric about Alzheimer’s disease have been presented in a study published in the Annals of Indian Academy of Neurology. Sage is an herb that we often use in the kitchen, but not many people are aware of its beneficial effects on brain health. In fact, when you ask yourself how to improve memory, you can consider sage to be one of the top answers. The active substance known as carnosic acid is primarily responsible for the beneficial properties of sage, including when it comes to preventing the damage done by free radicals (antioxidant activity). Sage has been known to be a suitable remedy for those who suffer from Alzheimer’s disease and other forms of dementia. A study presented online confirmed the antioxidant properties of sage and its beneficial effects for the above-mentioned conditions. Black pepper can be added to a wide range of dishes, to enhance their flavor. From a health-related perspective, it seems that black pepper can stimulate the release of beta-endorphins at the level of the brain. These are responsible for making us feel good. Hence we stand a lot to gain by consuming a black pepper. It has also been confirmed that black pepper can improve the overall cognitive functioning. Given such benefits, it should come as no surprise that black pepper is recommended to those who are suffering from mood disorders. A scientific article published in Food Science detailed the health benefits of black pepper. Oregano is one of the best herbs to be used in the kitchen, given its amazing flavor. It is also an excellent choice when it comes to boosting your brain power; this has to do with its rich content in antioxidants and its capacity of neutralizing free radicals (thus preventing damage at the level of the brain). Consumed regularly, it can improve the cognitive function and also regulate the mood, reducing the risk of depression and anxiety. Oregano can also be consumed by those who are interested in improving their learning and concentration abilities. 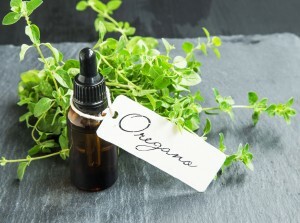 The increased antioxidant activity of oregano has been confirmed in a scientific article which was published in Food Science. These are just some of the many herbs and spices that you can use, to boost your brain power. As you have seen, many of these have potent antioxidant properties – they can protect the brain against the damage done by free radicals. They also work to reduce the risk of cognitive decline, which is normally associated with Alzheimer’s disease and other forms of dementia. You can consume these on a regular basis, to improve your memory and learning abilities. Moreover, these herbs and spices can regulate the production of happiness hormones within the brain – because of this; they can represent excellent weapons against depression, anxiety and mood swings. 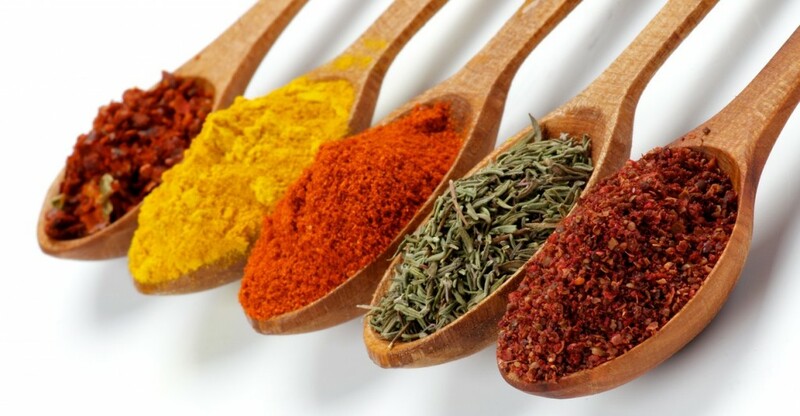 You can also consume other herbs and spices for similar benefits, including rosemary, cinnamon, nutmeg, and cloves.